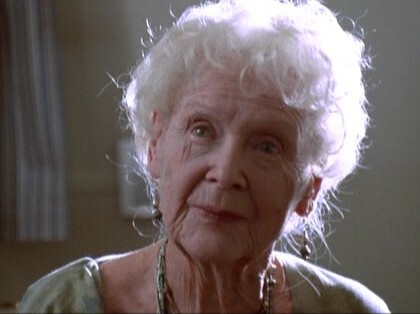 Gloria Stuart, the actress pretty much all of us only know as old Rose from “Titanic,” has died. She was 100. Stuart had retired at acting in 1946 but returned to the craft in 1975. For “Titanic,” she earned an Oscar nomination for Best Supporting Actress. Stuart’s family said she died in her sleep. She was the oldest person ever to be nominated for an Academy Award. Chosen by People Magazine as one of the 50 most beautiful people in the world (1998). She was the only cast member of “Titanic” (1997) who was alive at the time of the actual disaster. “Titanic” (1997) was her second film that featured a doomed ship. One of her early film, “Here Comes the Navy” (1934), was filmed aboard the USS Arizona. Mother-in-law of TV writer Gene Thompson. Shortened her last name from “Stewart” to “Stuart” because she thought its six letters balanced perfectly on a theater’s marquee with the six letters in “Gloria”.